On Thursday, the Illinois House voted on a piece of legislation labeled by many as a gun control measure. House Bill 4117, would have, among other provisions, outlawed all trigger modification devices intended to accelerate a firearm’s rate of fire. State Representative Avery Bourne (R-Raymond) voted against the bill, which failed to pass in the House. The bill needed 2/3rds majority (or 71 votes) in order to pass and failed 48-54. 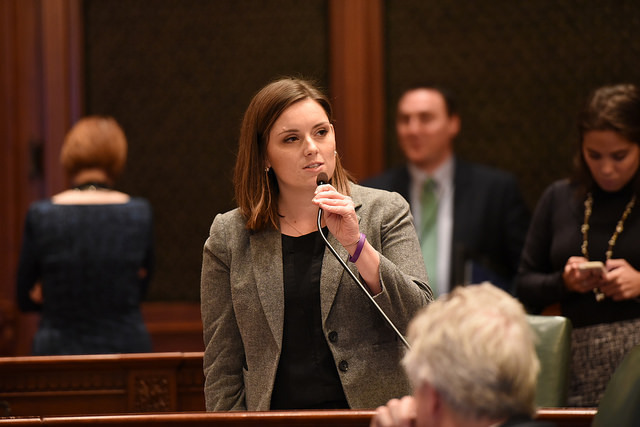 Not dissuaded by this setback, Illinois Democrats have filed another so-called assault weapons ban and have advanced a restrictive and duplicative gun dealer licensing bill to the House floor for a final vote in the near future.